Artisanal craft combines with contemporary design to form the Hollo Rug by Serge Lesage. Hand-tufted from 100% vegetable silk, magnificent skill is used to create the unique pattern. Featuring a classic stripe design, the linear pattern is contrasted with Serge Lesage’s signature artistic shapes. These sporadic forms give the rug a distressed look that adds personality and texture to the carpet. Taupe and golden honey coloured threads lift the deep grey undertones and blend seamlessly into the sophisticated design. 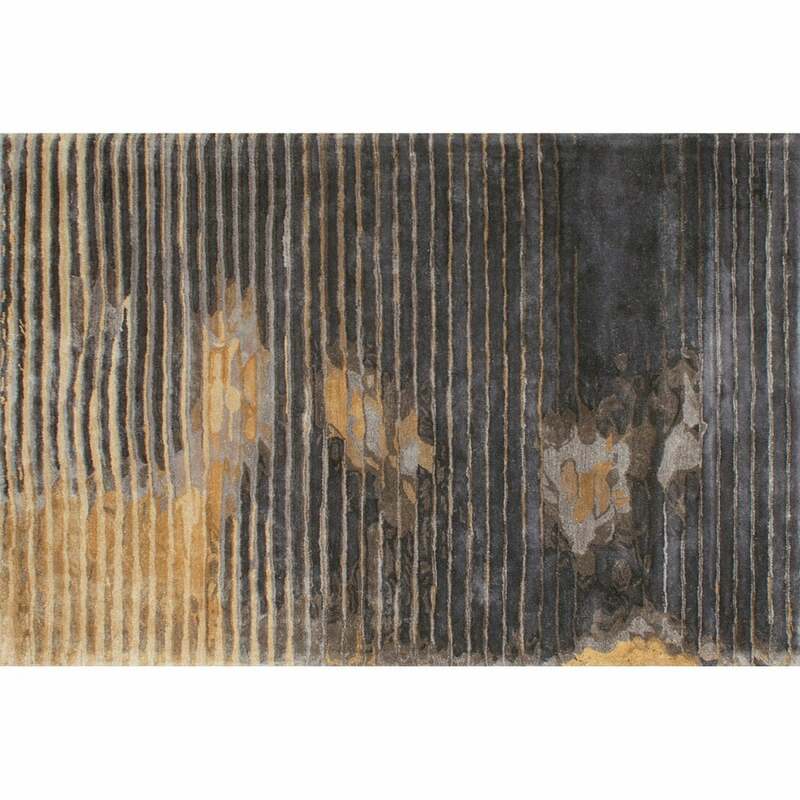 The Hollo rug will bring a modern touch to a classic interior or enhance a sleek and minimal space. Available in both standard and bespoke sizes. Make an enquiry for more information.